The Austin Chamber Ensemble announces its 37th Season! In 2017-18, we will be celebrating Leonard Bernstein at 100 as part of a two-year global celebration of the life and career of the 20th-century cultural giant with more than 1,000 events on six continents. Tickets are available on this website via the buttons below and at the venues, payable with cash, check, or credit card. $25.00 general admission, $10.00 students with ID, and FREE for ages 5–17. Tickets for the special Andrew Cooperstock recital and reception fundraiser are $50 for adults & $25 for students with I.D. 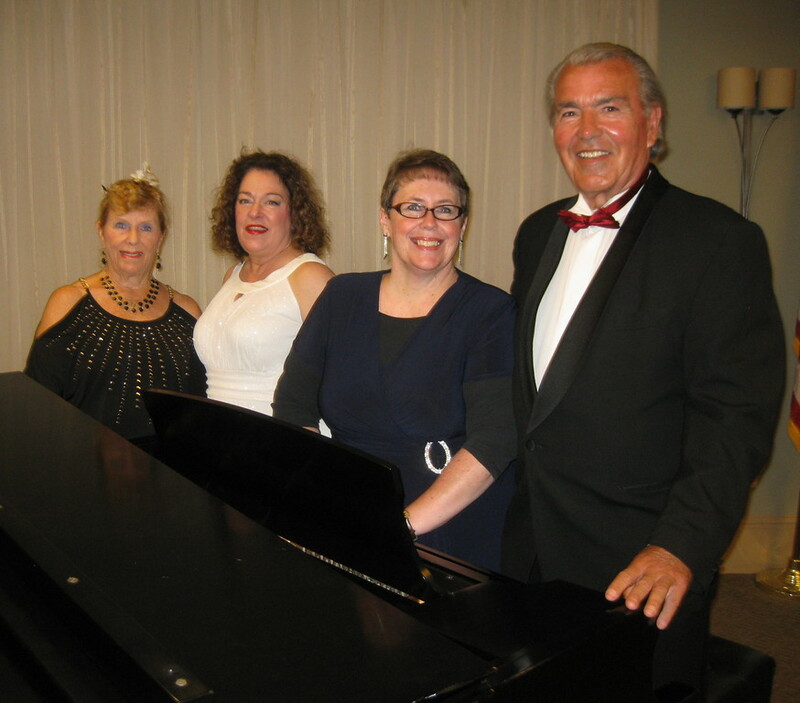 Let’s Make A Scene features Robert Schneider, Sr., bass, Janette Jones, mezzo-soprano, Katie Schneider, emcee, and Martha Mortensen Ahern, pianist. This interactive performance includes selections and scenes from musical theater including works by Leonard Bernstein as part of the Bernstein at 100 Celebration (On The Town & West Side Story), as well as South Pacific, The Sound of Music, and others. The performance will also feature scenes from Gilbert & Sullivan Operettas (H.M.S. Pinafore, The Mikado, and others). The concerts include costume changes, props, and audience participation! Visit our ACE Videos page for a preview video and the ACE Artists page to learn about our artists! Bernstein, Berlin, and Birthdays features Katherine Altobello, mezzo-soprano, and Martha M. Ahern and Stephen Burnaman, pianists. This performance includes solo vocal selections and 4-hand piano works by Leonard Bernstein (1918-1990; a Bernstein at 100 Celebration), Claude Debussy (1862-1918), Irving Berlin (1888-1989), and others. Be sure to see the ACE Press links on our About page! Visit our ACE Videos page for a preview video and the ACE Artists page to learn about our artists! Private residence; Seating is limited! Simple Gifts features Felicity Coltman, piano, Martha MacDonald, clarinet, Terri Freeland, cello, and James Anderson, violinist. The ensemble will perform Leonard Bernstein's Clarinet Sonata, John Williams's Air and Simple Gifts, works by Milhaud, Schickele, and others for the combination of piano, clarinet, violin, and cello. Enjoy sneak previews of Air and Simple Gifts by John Williams and Leonard Bernstein's Clarinet Sonata on our ACE Videos page and visit the ACE Artists page to learn about our artists! Join the Austin Chamber Ensemble for a special recital/reception fundraiser to complete our Leonard Bernstein at 100 Concert Season! Andrew Cooperstock, pianist, has recently released a new CD, Leonard Bernstein Complete Solo Works for Piano. CDs will be available for purchase at this performance. Andrew would be delighted to meet you at the reception following the performance and sign this newly-released CD. SEATING IS LIMITED at this private residence, so purchase your tickets now! Tickets for this special recital and reception fundraiser are $50 for adults & $25 for students with I.D. Visit the ACE Artists page to learn about our artists!